Via our third-party partner company, Bermon Carpet Cleaning Services, we are now able to offer our beloved customers discounted carpet cleaning services. Bermon’s effective carpet cleaning works great on most carpets without breaking down the carpet fibers. Getting your carpet cleaned with truck- mounted hot-water extraction kills bacteria and odor – without using harmful chemicals. This method of carpet cleaning is designed to wash away contaminants that soil your carpet. The result is a healthier, cleaner carpet. Bermon’s choice of carpet solution has no optical brighteners and effectively prevents any spots from turning into stains. Bermon Carpet Cleaning Services are easy, convenient, and more affordable than other carpet cleaning companies which is a great reason to give this service a try! We offer a window cleaning service for our customers that include interior and exterior window washing, including storm windows, sky lights, screens, and window sill vacuuming and cleaning. All dirt and grime from windows are removed, including dirt and grime from slides, tilts, and partitions keeping a fresh new look to your home or business. Through our specially trained window cleaners and effective cleaning method, you will see the vast difference our window cleaning service can make. Restore the clarity of your windows today by hiring us to clean your windows and enjoy a clear view of the outside world. From standard windows, storefront glass, and hard to reach windows…we clean them all. Arm chairs, sofas, love seats, and other upholstered furniture receive a lot of attention, especially from children and pets. Via our third-party partner company, Bermon Carpet Cleaning Services, upholstered furniture can be restored in an affordable, easy, and convenient approach. 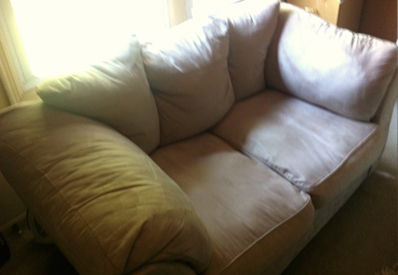 Using a proven steam cleaning method, your upholstered furniture is not only cleaned but also sanitized using specially formulated furniture cleaning agents that powerfully, but safely, remove deeply embedded soils and odors. Tile & Grout Cleaning COMING SOON!!! Have tile? Does the grout between your tiles seem dirty and unappealing? Our Tile & Grout Cleaning Service is your answer. Cleaning tile floors by hand is hard work. Regular mopping and spot cleaning doesn't always reach the hidden dirt that lies deep within the pores of your grout lines. This is because grout collects dirt, grime and spills, all which happen inevitably over time and this often leads to discoloring of the surface. Our professional Tile & Grout Cleaning Service restores the shine to your floors, making them look like new. Interested in this service? 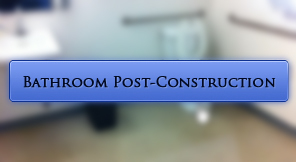 Call us today for a FREE on-site estimate! Moving in and want to be assured of cleanliness? Or moving out and want to leave a good impression? 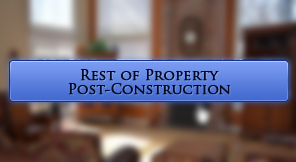 We work with realtors, homeowners, and business owners on a regular basis. 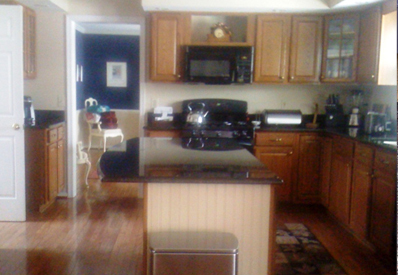 We pride ourselves on being detail-oriented and rest assured, our Move In & Move Out Cleaning exceeds expectations. Run your finger across that fan blade or take a look at the shelves in your refrigerator. Putting food away in that smelly refrigerator can take the excitement of moving in and turn it into disgust and distress. Having to actually clean that smelly refrigerator and wipe all those fan blades can be stressful and a hassle. We are trusted by many to provide a meticulous and thorough Move In or Move Out Cleaning service to any sized vacancy. Assuming that any and all properties are vacant when receiving a Move In or a Move Out Cleaning, no upholstery or furniture is taken into consideration in the Move In & Move Out Cleaning services listed below. Call us today to get a quote for your home or business! The Cleaning Ladies, LLC. 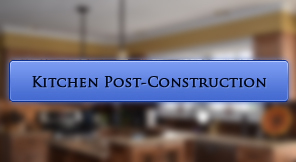 offers a Post-Construction cleaning service to both residential and commercial costumers. This cleaning service is specifically designed for home or business owners that have had remodeling done and need to rid their property of the dust and minor debris that are left behind after construction related activities. We work with you and your general contractor or property manager without ever inconveniencing tenants, customers, or visitors. Please contact a Customer Care Representative to discuss this service in further detail and have one of our trained Field Managers come and give you a free estimate at your property. Please note that for all existing and future customers, this service will be billed separately from all other services.